Salem Evangelical Lutheran Church in Scio (Ann Arbor), Michigan. Copyright 2013 Red Brick Parsonage. 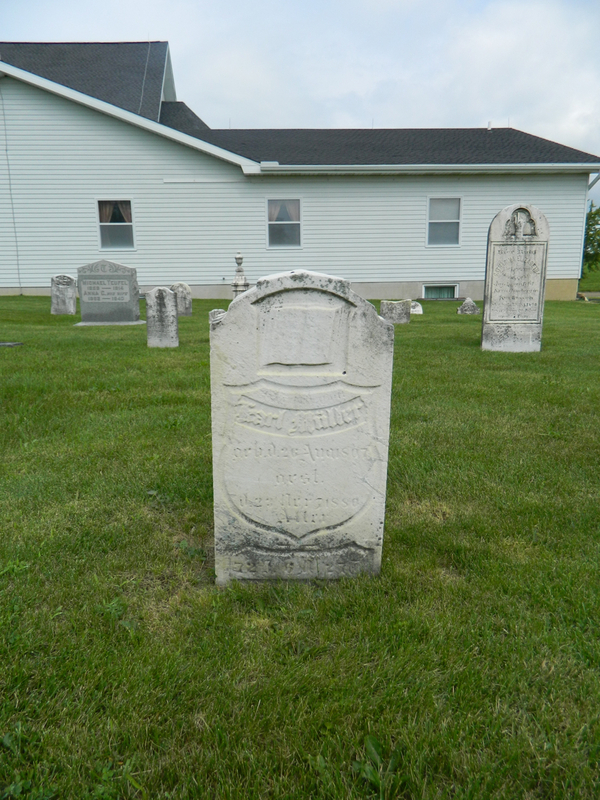 In 1843 I was confirmed in the spring by Pastor Schmidt in Scio. We were positioned according to age. I was the second last. In the back of the Württemberg catechism [Württemberger Kinderlehre] are questions and answers for confirmation. There were enough for everyone to answer two. Whoever was good at learning learned them all; whoever was bad at learning learned the two questions and answers that would come up at his or her turn. The pastor held his classes in the church. They did not last very long. When it was time to start, we children sat in our place, Mr. Pastor would come in, say an ex corde prayer with his eyes half-closed and turned toward heaven, and then begin. With his hands behind his back he would walk up and down the aisle and talk. What did he say? This is the only thing I still remember: Once while he was walking, the stovepipe above him wobbled. I looked up and thought, “If that falls down, it’s going to hit the pastor on the head.” He noticed this, stood still, and asked what I was looking at. He never did ask anything from the catechism, never posed one question. In general he did nothing but talk, and towards the end I learned a couple Psalm verses and some hymn verses from Hiller.19 Hiller was also our hymnal in church. The questions, mentioned before, were assigned, as was the confirmation hymn that was supposed to be sung at the confirmation. On Confirmation Day we had to go to his house. There he gave us a serious speech: We should not fall away. He would be able to see it in our eyes if we had fallen away. We cried emotional tears as we solemnly resolved that we would not fall away. He went away, soon came back, and his knees were dusty; he had apparently been praying on his knees. We headed to the church, the pastor in the lead; we followed along behind him. The altar was encircled by a railing. We had to take our seats inside it. He delivered an address, but I have no idea what that was about either. He stepped in front of the altar; we had to sing our hymn, and now he quizzed us on our questions. We knew the answers. Individually we went up to him, knelt down, and he solemnly blessed us with his hand laid upon us, and he read our commemorative passage from a small slip of paper.20 Mine was not a complete passage from the Bible, but his own words that were based on a Bible passage. For the Lord’s Supper we had to go to the altar two at a time. On the plate lay cut-up, ordinary bread, maybe about the length and width of a finger, and two drinking glasses stood there, filled with wine. He took one of those little pieces of bread, broke it in two and put a half-piece in everyone’s hand. He also put the glass in everyone’s hand. I don’t remember anything else about a confession and absolution. No one announced for the Supper. Later I saw a Catholic woman go to the Supper with everyone else. 19 Strieter is referring to Philipp Friedrich Hiller’s Geistliches Liederkästlein (Small Treasure of Spiritual Songs). 20 It is possible that Pastor Schmidt laid both his hands on each confirmand, but the immediate context seems to suggest that he blessed them with one hand and held the slip of paper with the other. Now we boarded a small ship, and that brought us to the canal. On the canal we were now headed for Buffalo. The canal men were really nasty: If anyone went on shore, they would not let them back on. My father even fetched us some bread once, and when he was about to jump on, the helmsman veered away, and my father fell into the water up to his neck and his two loaves of bread were floating on the water. Karl Müller’s headstone in St. John’s Cemetery, Bridgewater, Michigan. Copyright 2013 Red Brick Parsonage. We arrived in Buffalo and knew that we now had to go on the turbulent Lake Erie. We were quite uneasy and had a look at the water. We thought that out there it raged and blustered like it did on the Sea of Gennesaret when the Savior sailed across it with his disciples, but the water was completely tame. We boarded a steamboat, and that quickly brought us safe and sound to Detroit. There people had been arranged to meet us with transportation. The elder Auch was also there, the father of my eventual brother-in-law. They loaded us up and drove us to Ann Arbor. From Ann Arbor we headed several more miles further – to the west, I believe – to Scio. There was a large settlement of Württembergers there, together with their pastor Friedrich Schmidt, an alumnus of Basel.15 In the middle the frame church stood on the one corner, the parsonage on the other corner, and behind the church lay the cemetery.16 A mile or so to the west there were forty acres of land on which a log house was located a ways off the path. That was the property of a bachelor, Karl Müller, a tailor. He did not live in his house though, but went around sewing in people’s homes. For back then it was different from today. If you needed clothes back then, you fetched the tailor. We moved into his house. The owner ended up marrying my oldest sister Rosina. 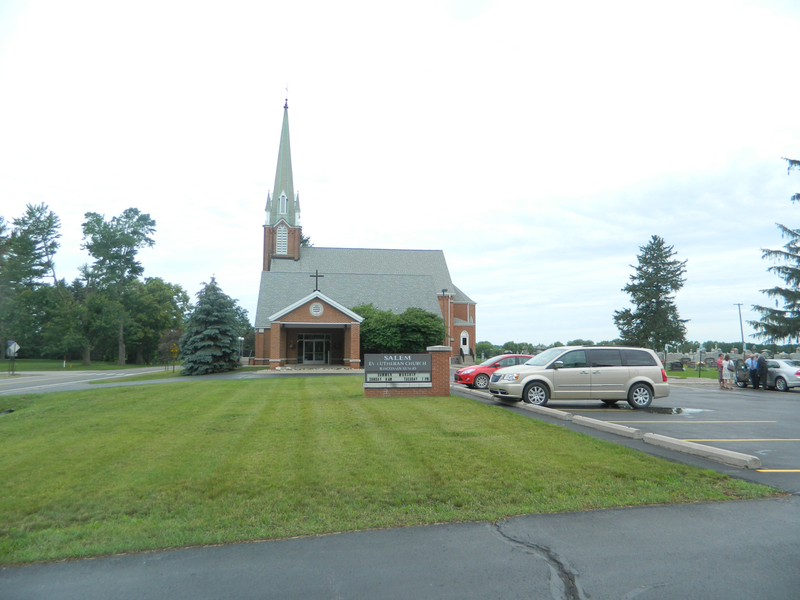 Their youngest son is the Pastor Müller in Deerfield, Michigan. We stayed in Scio through the winter. In the spring of 1838 we moved seven to eight miles further south to the town of Freedom, Washtenaw County, Michigan. 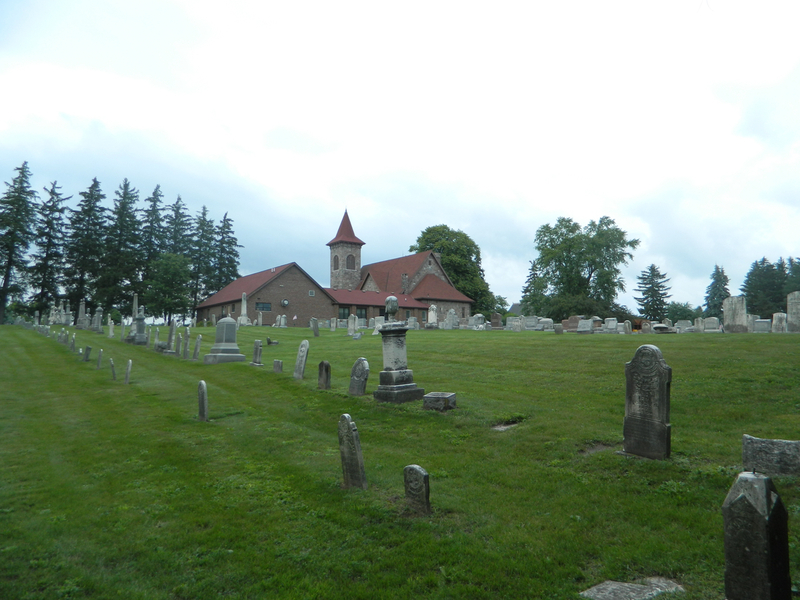 Bethel Cemetery, where Jacob and Maria Katharina Strieter are buried. Copyright 2013 Red Brick Parsonage. There Father bought himself forty acres of uncultivated land for a hundred dollars. Before that he had already bought himself a cow for twenty dollars, and so his supply of money was used up now. The forty acres lay perhaps a quarter mile off of the road from Manchester to Ann Arbor, somewhat more towards Manchester. There were many Germans there too, Württembergers, and in the township of Bridgewater bordering on the south, Hessians; my brother-in-law Müller was also a Hessian. There was not a church there. Service was held in a log public schoolhouse, a mile or so east of us.17 My father erected a log house and cleared land for farming. My brother Jacob, five years old than I, helped him bravely, and so did I, as much as I could. My sisters worked as servants and gave their earnings to Father. Back then girls did not get three to four dollars a week, but 75 cents or at best 1 dollar. Pastor Schmidt preached for us in the schoolhouse; he had many preaching stations. One time after the sermon he stationed my father in front of himself and delivered an address, then my father knelt down, and the pastor solemnly blessed him. From then on my father preached five Sundays and Pastor Schmidt on the sixth. Later, up at the intersection, from which we lived a quarter mile to the north, a log church was built and a cemetery was laid out, which is also where my parents are sleeping.18 My father preached in the church and also taught school during the winter for three months at a time – both, however, without any actual pay. I attended school under my father for three winters. I also attended some classes in the public school in the aforementioned schoolhouse. There we had a certain Jerry Cramer for several terms. He was an absolutely outstanding teacher, but very strict, though also kind and just. One time a small Catholic girl was crying; her name was Eva Crämer. “Eve, why are you crying?” he asked. She pointed at a big girl who had taken her picture; it was her cousin. He inquired about it, and sure enough, she had it, a little Catholic picture of Mary. He sent a boy out to fetch a stick. He brought a hazel stick, about as thick as a finger and three feet long. The teacher grabbed the thieving girl by the hand, brought her on the floor, and gave her a real proper lashing over her back. In my class there was a big, lazy brat, who never knew his spelling lesson. A lot was “spelled” [gespellt] back then. One morning the teacher told him, “If you do not know your ‘spelling lesson’ this evening, if you miss just one word, then you will receive your punishment.” The guy studied now, but still missed one word. Then the schoolmaster took his ruler and lashed him three times on each hand so hard that the young man told me the next morning that his hands were so swollen that he couldn’t chop any wood. One time the teacher showed us a thing made of lead that looked like a half dollar, with a hole and a string in it. He told us, “Whoever does not miss a single word in spelling this evening, gets this thing around his neck and may take it home until tomorrow.” Now we went at it. I was the top speller. Lillie Allen was standing next to me. Whenever a word was given to me, she would look at me, expecting me to miss it, but I didn’t miss and now I received the thing around my neck. How proud I was, and with what pleasure I showed my lead thing to my parents and siblings! 15 Friedrich Schmid(t) was born on September 6, 1807, in Walddorf near Nagold, Württemberg, Germany. In March 1828 he entered the Basel Mission Institute. 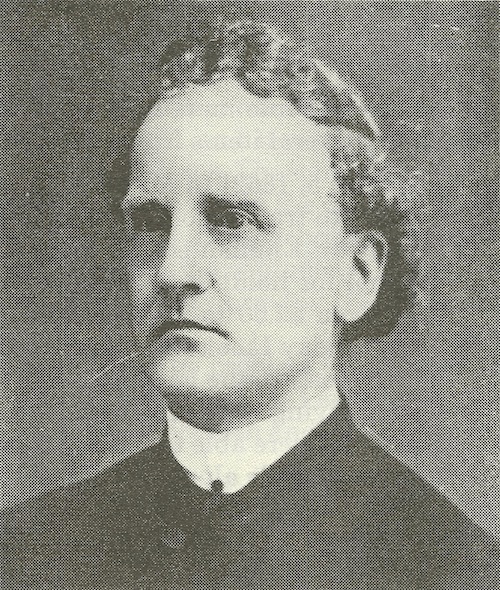 He was ordained a Lutheran minister on April 7, 1833. 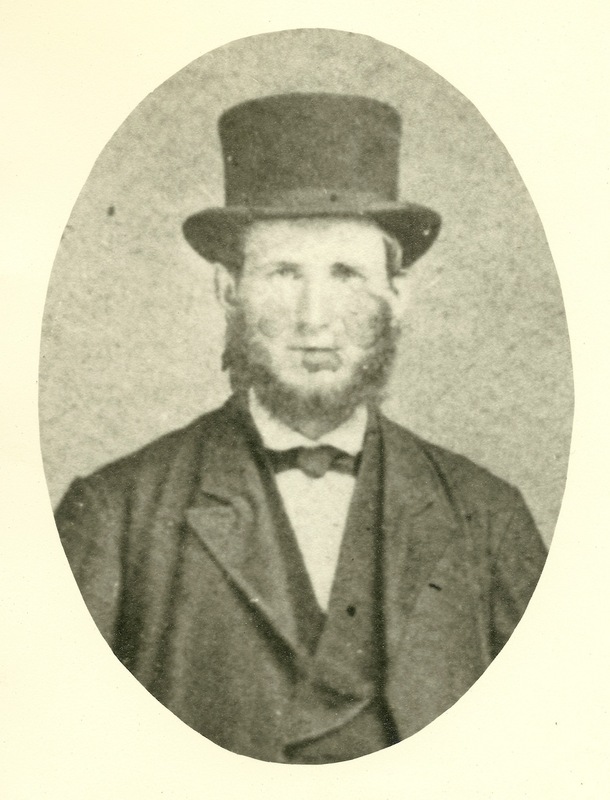 German immigrants in Washtenaw County had previously requested a pastor from Basel and so Schmid was sent to America, arriving in Ann Arbor in August 1833. 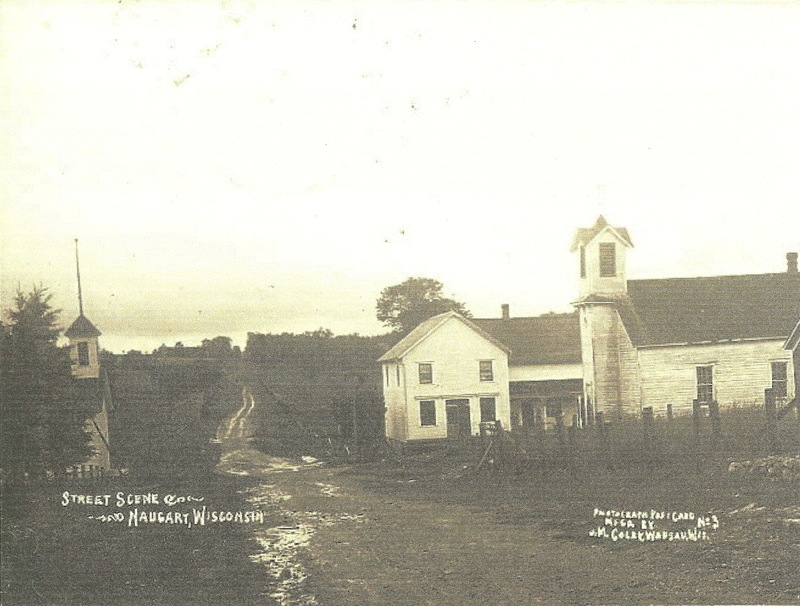 What became Salem Lutheran Church in Scio was organized on September 20, 1833. Today it is one of the oldest congregations in the Wisconsin Synod. 16 The frame church, 30 by 40 feet, was erected in 1836. Pastor Schmid built a house across from the church in the summer of 1836 and moved his family into it in September. 17 This was eventually known as the Kuebler District schoolhouse. 18 The German Evangelical Bethel Congregation was officially organized by Pastor Schmid in the fall of 1840. At the same time an acre was deeded to the congregation for a cemetery and a log church erected on that acre. Today this church is Bethel United Church of Christ, located on the southeast corner of Bethel Church Road and Schneider Road. So the Strieter family lived a quarter mile north of there on what is now Schneider Road.